The 1959 “Mercury Seven” was the first class of American citizens-turned astronauts. In June, NASA announced the 21st astronaut candidate class: the most diverse one yet (Credits: NASA). Choosing candidates for NASA’s 21st astronaut class proved to be nothing short of daunting, but now, after the 18-month search, eight men and women from around the country have begun training in Houston with hopes of one day stepping foot on something just a little more foreign than Texan soil. “Flying in space . . . has been my dream since I was about five years old,” said astronaut candidate Jessica Meir in her “In Their Own Words” video introduction on the NASAReel YouTube channel. The 35-year-old assistant professor of anesthesia at Harvard Medical School holds a doctorate from Scripps Institution of Oceanography and an advanced degree from the International Space University. “This has been a lifelong goal to try to become part of the program,” said candidate Tyler Hague, a 37-year-old Lt. Colonel in the U.S. Air Force. Like the other six candidates, Meir and Hague plan to break through the cosmic barrier, and that requires strength of intellect, character and body: characteristics that brought the candidates to the forefront of the 6,100-person application pool in the first place. “We actually had 4,552 people who met the basic qualifications,” said Duane Ross, manager for the astronaut candidate programs. He explained that a selection crew, comprised mostly of senior astronauts representing different disciplines like engineering and medicine, narrowed that number down by about 90 percent. Then the committee gathered qualitative data, like references and basic medical information, using their findings to slash the 480 to 120. Those were the lucky ones who arrived at the Johnson Space Center in Houston for in-person interviews. “We were tickled to death that so many people were interested, but it was a heck of a lot of work to go through that pile of applications,” said Ross. The applicant pool was the second largest in history and contained more than 12 times the amount of applications received for NASA’s very first call for astronauts in 1959. Ross attributes the high volume of applications to the significant public relations effort put forth by NASA to remind American citizens that the end of the space shuttle program in 2011 was not nearly the end of space research. Together, the chosen eight represent the most diverse class yet, with women comprising half of the astronaut class. The training program for the potential astronauts began in August and will last for about two years. During this time, the candidates will receive no media attention. By early September, the class had already completed wilderness/land survival training near Rangeley, Maine; water survival training, flight training, and SCUBA-certification come next. Training also requires exposure to high and low atmospheric pressures and microgravity, in an attempt to familiarize the body with in-orbit conditions. Additionally, the candidates will undergo International Space Station systems training, extravehicular activity skills training, robotics training, aircraft flight readiness training, and, throughout everything: Russian language training. 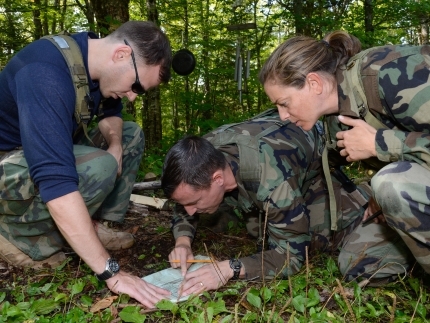 All eight astronaut candidates including Tyler Hague, Andrew Morgan and Nicole Mann (pictured from left to right) completed three days of land survival training in the Maine wilderness in early August. That’s just the first of a series of training modules aimed at preparing the candidates for physical and mental stress, emergencies and daily life aboard the shuttle and International Space Station (Credit NASA). “I really enjoy studying foreign languages and cultures, so [I’m really looking forward to] the immersion in the Russian culture and society that we’ll have as part of the ISS and the other international partners as well,” said Meir. Currently, the ISS houses members from the United States, Russia, Europe, Japan and Canada. “This is the first time we had a group where we based their selection among their ability to show a propensity for learning foreign languages,” said Bolden, who flew into space in Phase One of the Shuttle-Mir program, a collaboration between Russia and the U.S. that allowed American astronauts access to Russia’s space station, Mir. Now, more than three decades after Bolden’s experience with the Russian Space Agency, the newly selected astronauts must prepare for manned missions to space in Russian rockets. Of course, sharing the same language promotes bonding, too—something astronaut candidate Andrew R. Morgan hopes to do with his own classmates sooner than later, months and even years before the journey to the multinational ISS. “I’m really eager to get together with them [my classmates] and meet the other half, because we really want to build that atmosphere of an extended family early on. So the sooner the better,” said Morgan. He is a 37-year-old graduate of the U.S. Military Academy at West Point who earned a doctorate in medicine from the Uniformed Services University of the Health Sciences. The other five candidates include Navy Legislative Fellow Victor Glover, 37; Marine Corps major Nicole Mann, 35; U.S. Army major Anne McClain, 34; NOAA Station Chief Christina Hammock, 34; and naval aviator Josh Cassada, Ph.D., 39. 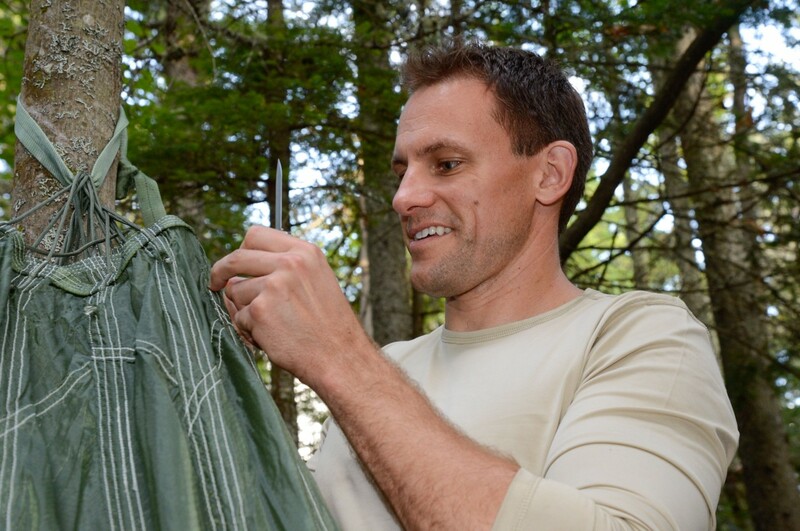 Pictured above, astronaut candidate Josh Cassada engages in wilderness survival training in Maine (Credit NASA).